Six new “cottages,” housing 16 youth each, form a residential village for incarcerated boys at MacLaren Youth Correctional Facility. With a philosophy emphasizing “Positive Human Development,” design solutions are intended to encourage healthy adolescent development and rehabilitation rather than punishment. To support this philosophy, the design team was asked to integrate high quality, culturally specific visuals that youth participate in making — setting high expectations for environmental graphics that must support youth from a range of backgrounds and stand the test of time. 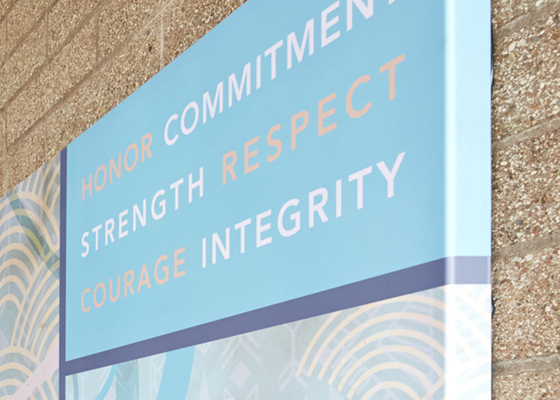 Mayer/Reed engaged the youth and Oregon Youth Authority staff in a series of workshops that started by defining key MacLaren values to title each mural: Honor, Respect, Commitment, Courage, Integrity, Strength. Youth and staff contributed poems, stories, images and sketches that represent their community and the transition process they have experienced at MacLaren. Through a collaboration with artist Blaine Fontana, their stories are brought to life in vibrant murals. 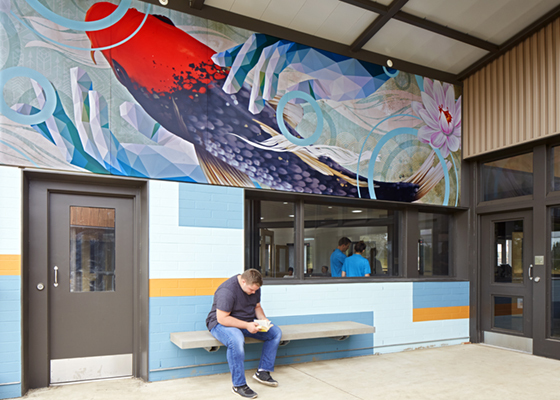 In each mural, reoccurring themes of making a journey, needing and feeling support and companionship, appreciating differences within a group and finding inspiration in nature can be found. 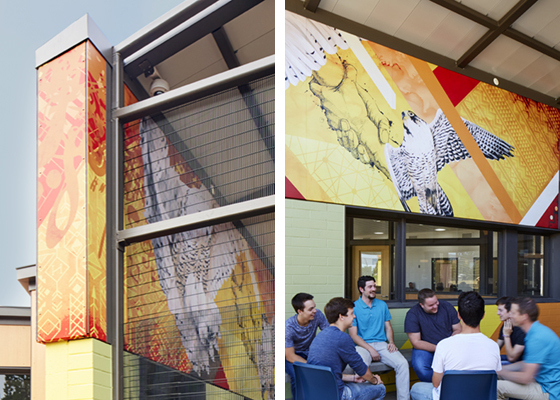 For security, artwork was created offsite and produced as digitally printed powder-coated panels with concealed attachments. Mayer/Reed developed paint patterns to extend the energy of the mural, activating the entire wall in low cost, easy to maintain material.